In last article we have seen about the software development life cycle and in this article we will deeply understand about the software development models. Software development life cycle will you the process of execution while developing a product but software development models will give you the actual idea about which methodology you can use for your product. For example, A merchant have an idea that he wants to prepare a chair but He will start to build with the sitting area first or He will start with the legs first that will be define as per he decide to follow the models of different chairs. Thus, basically software development models have different kind of process and methodologies which can be selected as per the requirement of product or application. So many models are available for software development life cycle which have different objectives to follow. As the project’s goal, we need to select one model for same. The models are define with the stages of development which we needs to follow. Due to software development models, Tester will get the clear idea about the planning of testing. When and what will be tested that have been designed. Here we can say that software models have high priority for testing purpose. Selection of model is the main challenge to achieve the goal of product. This all the software development models from which we need to select suitable models for our product or application. We will understand this models in detail in further articles. As we have selected the model for the application, accordingly testing strategy will be defined for our product. Different organizations have selected the software development models as per their business rules and the requirement of the product. If the company is service based then they will follow the methodology which have been followed by the client but now a days ‘Agile Model’ have been used the most. 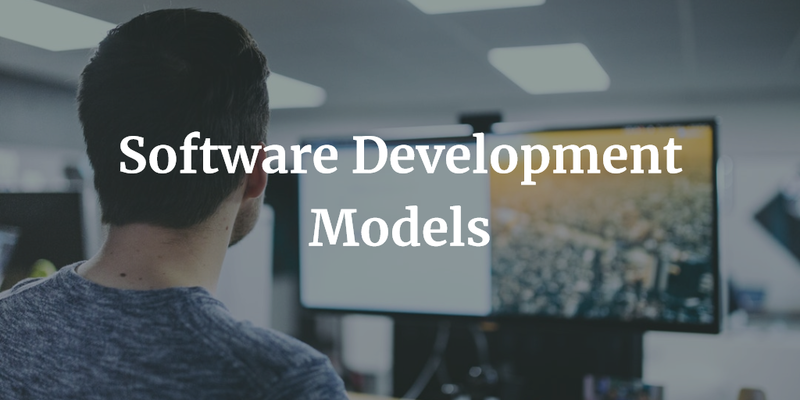 When models were introduced at that time waterfall model have been used by every organization but as time goes on different changes and methodology have been applied to the rules of models and different kind of models have been generated. Thus, we can say that ‘Waterfall Model’ is the oldest one. In waterfall model, testing phase can be started only after completing the whole development procedures. It causes many critical bugs and defects have been found at the end which clearly indicate that the cost and time of solving the issue is high. As bug is found in the End of the testing cycle, testers have posted the issue and developer team have to work again to fix the issue and whole code review have been done again by the team. This may cause integration problems. Due to deadlines if developer team can solve one critical bug but same time new critical bug have been arise as testing have been done at the end of the developing phase. This is all about waterfall model. As we have seen waterfall model have many problems so now a days ‘Agile model’ have been used in all most organization. Not only ‘Agile Model’, ‘V – Model’ have been also used in many companies. ‘V - Model’ is define as verification model and validation model. In V Model development cycle and testing cycle have been mapped together for tracking of the project. As development procedure have been done, side by side testing procedures also taken place which may cause less integration problems instead of waterfall model as testing and developing activity will be done parallel in V - Model. There are many kind of models are available than Agile model and V Model like many companies are using ‘Iterative Model’, ‘RAD Model’, ’Incremental Model’, ‘Spiral Model’, ‘Prototype Model’ etc. Each model have their own limitations, Advantages and Disadvantages. We will understand each model in detail in the further articles. We will start from waterfall model first. How each model will work to develop a project or any application that will be define in next articles.